I always kick off a new year looking back at my own successes and failures as well as those of my students the year prior. And 2017 was a particularly tough year for launching new apps. I expect this year to be more of the same, which is why I’m advising a slight shift in strategy for startups launching this year. But first, what changed to make it so tough out there on entrepreneurs? And this graph doesn’t just hold true for download numbers, but time spent on a device as well. 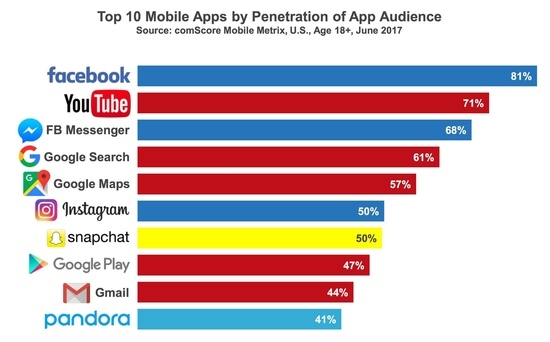 What this means is that in 2018, you’ll have an easier time getting people to download your app than actually use it. And this is dangerous. A few of the mobile app startups I advised in 2017 failed despite high download numbers. It gave them false validation, and it’s not their fault. There’s just less attention to go around these days. And it’s not just mobile apps that are getting more difficult to launch. Web applications, hardware startups, Kickstarter projects; they’re all suffering from the end of a cycle in marketing as well. Just look at the adoption of referral marketing, growth hacking and content marketing across industries. Startups have been reading the same marketing playbooks for years, and at the end of a cycle only the most useful and unique content can stand out. Speaking of community, there are two types of businesses that are largely immune to tech cycles: those that bring people together and those that bring information together. Why? Both benefit from basic tenants of the internet: as more information and people are added to the system, the signal to noise ratio drowns out the very best of each. 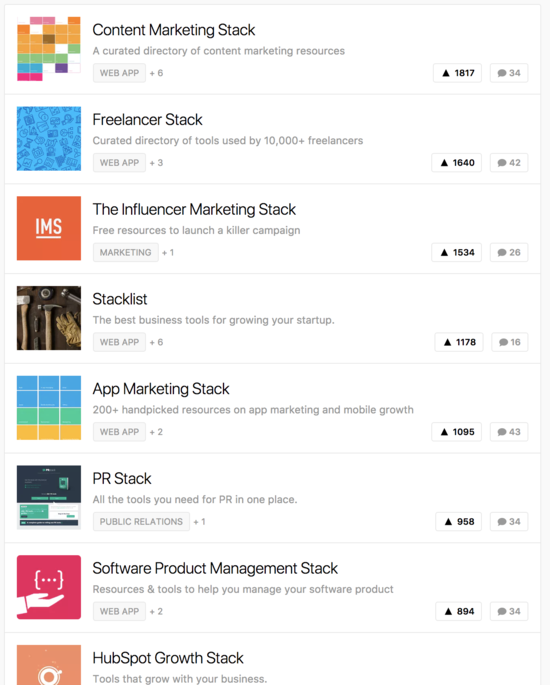 For information, this is readily apparent in the rise of “stack” startups that cropped up almost daily on the front page of ProductHunt last year. These projects were as low-tech as it gets – simple directories of high-quality resources like the original Yahoo and Altavista. These products all were successful for the same reason: they had immense value in a world with Google is becoming less and less useful for subjective answers. Ex. “Who was President during in 1831?” is a much better Google result than “What’s the best resource for starting a startup?” – people now turn to curation sites like Quora and ProductHunt for those answers. (Andrew Jackson was president in 1831, if you’re now wondering). For organizing people, paid community sites have re-emerged as a powerful business model as Facebook Groups become more crowded and less useful. A great example is the organizing of “Digital Nomads” done by NomadList. A site that started off as nothing more than a directory of information for world travelers turned into a powerful community of entrepreneurs sharing travel tips. Charging $10 a month for entry and scaling quickly, the company has made roughly $30k/month in revenue just by organizing people in a way that is much more valuable than the countless traveler Facebook groups. Subscription-based freemium mobile applications. The most popular web-app business model finally became available to mobile app developers when Apple introduced subscriptions in the App Store in 2016. Charging 99 cents won’t move the revenue needle, but limiting your app features after a free download and then allowing an upgrade for $3-10/month can produce enough revenue to matter. A great example of how to strike this balance is Moment. Avoid competing with the major players. I don’t care how impressive your photo-sharing app is, you’ll need millions in funding just to get people to download it, let alone use it. Look for the beginning of smaller tech cycles in the mobile app space. For iOS, take a look at the Apple Healthkit and ARKit. As phone manufacturers add new features and APIs, opportunity resets. Just make sure to de-risk your app by thinking “how big of a priority is this for Facebook/Google”? Because you can be guaranteed they are working on it. That’s it for reflecting, now let’s get building! I’m going to be announcing some side projects of mine soon, but in the meantime, I’d love to hear some of your ideas for startups this year. Comment below and I’ll try to give out as much honest feedback as I can. There are lots of tools out there that can be used to validate your idea and that is a good place to start.